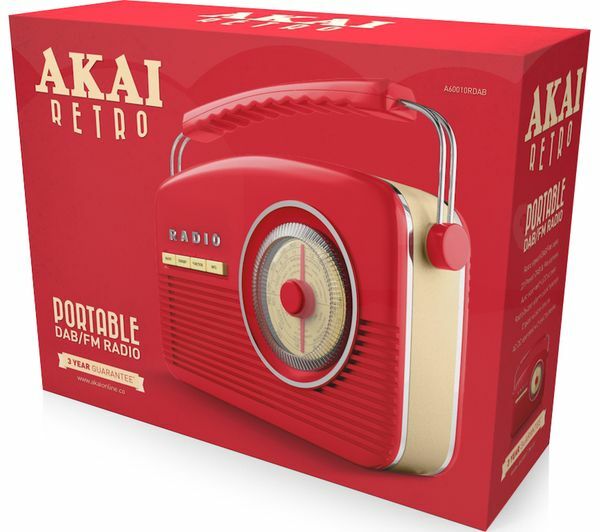 Get more from your listening with the Akai Portable DAB+ FM Bluetooth Retro Radio. 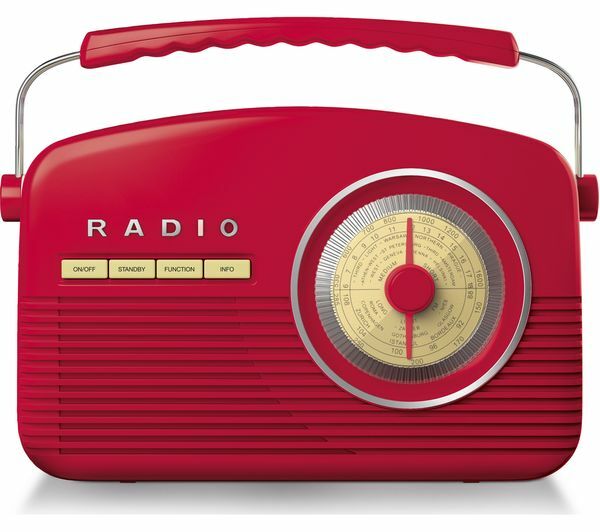 On it you can listen to hundreds of DAB+ and FM radio stations sure to cover your musical taste, or talk show preferences. 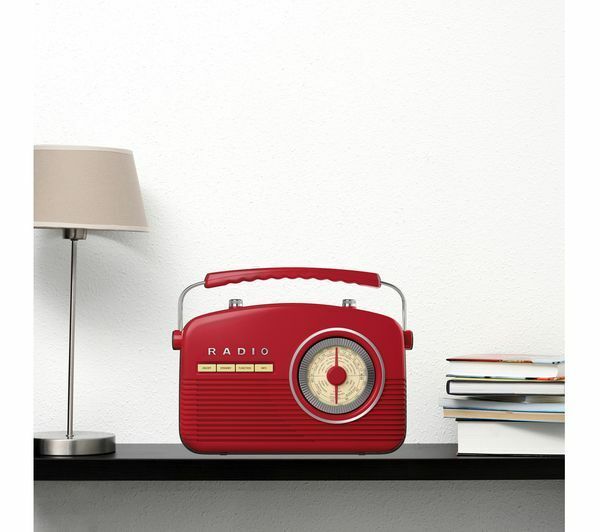 Awaken to the sound of your favourite radio station. 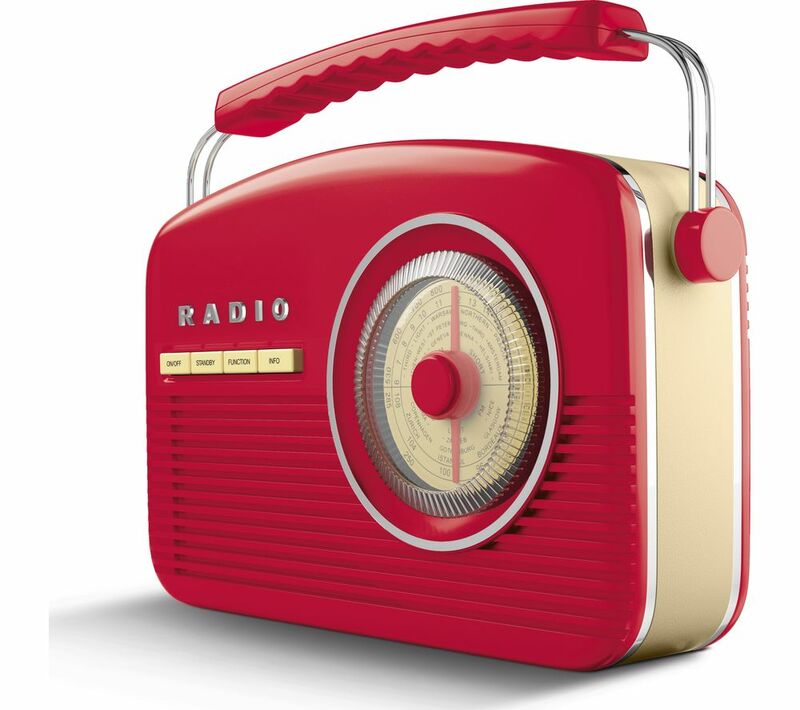 The clock radio has a radio alarm for a more pleasant way to start your day, or you can choose a more traditional buzz alarm to wake you up. 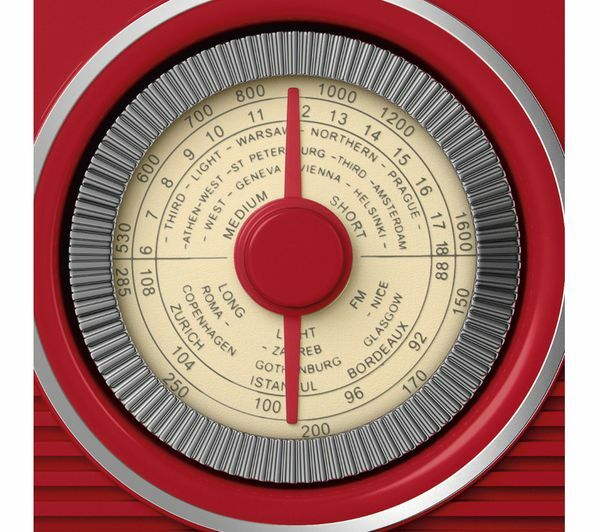 The charming retro design, complete with analogue clock face, lends a timeless touch to any bedroom, lounge or kitchen setting. A carry handle makes it easy to take anywhere with you when used with replaceable batteries. Not so easy to set up ! One shouldn’t need complex instructions , all one needs is an on /off button , tuning in & save , alarm clock not needed . Can be too complicated that you think it’s faulty !